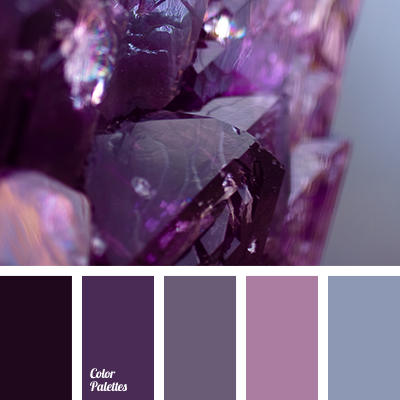 Beautiful palette of rich hues. Gentle roulades from light lilac to dark violet are ideal for interior of quiet bedroom, busy living room or aromatic cuisine. In clothes this colours will have beneficial effect on your communication with people, gaining their good favour for you. 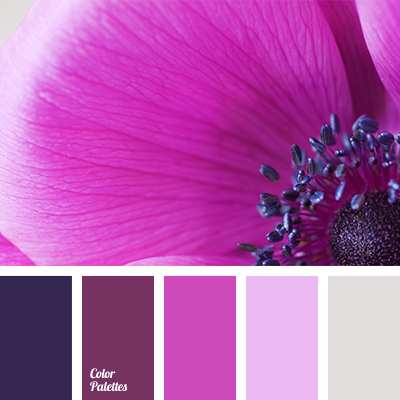 bright lilac-pink colour, colour of fuchsia, colour of fuchsia and eggplant, dark fuchsia colour, fuchsia colour, gray and pink, gray and violet, monochrome, monochrome colour palette, monochrome pink colour palette, pink and gray, pink and violet, shades of pink, shades of violet, violet and gray, violet and pink.